A wide variety of medical ailments—some serious—can cause blurred vision, so if you experience this symptom, see your doctor right away. Your eye doctor will be able to identify any issues that could potentially cause blurred vision early and recommend proper treatment. Blurred vision refers to a lack of sharpness in your sight, leading to an inability to see things in fine detail. It could last just a few seconds, or it could occur long-term and progressively worsen. Blurred vision can occur in one or both eyes, and while it can be caused by eye disease or injury, it can also be a symptom of a condition that doesn’t involve your eyes at all. Astigmatism. A relatively common eye condition, astigmatism occurs when your cornea is irregularly shaped, thus preventing light from focusing on the retina in the back of the eye and making it difficult to focus on what’s in front of you. For more information, check out What Is Astigmatism and Why Does it Make Your Vision Blurry? Headaches. 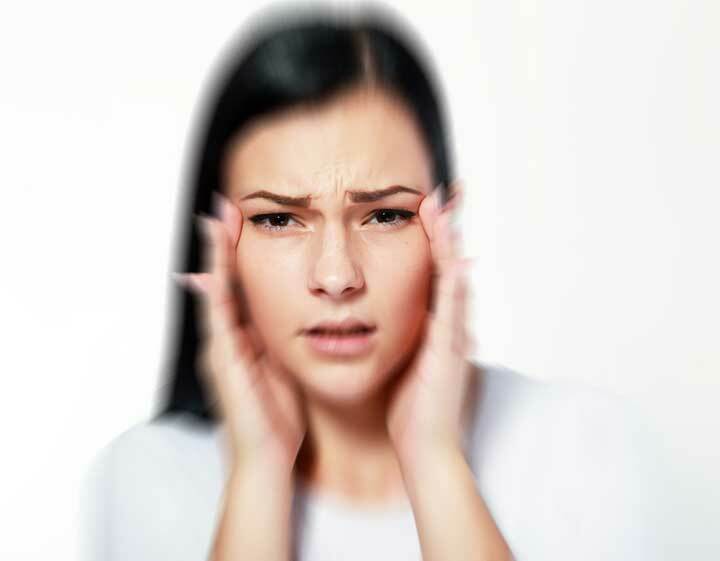 Blurred vision is a common symptom of a migraine headache. Migraines can also make your eyes sensitive to light and cause an “aura” or visual disturbance right before the symptoms begin. For more information, check out Migraine Symptoms: Treatment (and Prevention) Tips. • Approximately 14 million Americans aged 12 years and older have self-reported visual impairment defined as distance visual acuity of 20/50 or worse. • 1.6 million Americans aged 50 years and older have age related macular degeneration. • 0.5 million (or 16 percent of) Americans aged 40 and older have cataracts. • 2.2 million (or 2 percent of) Americans aged 40 and older have glaucoma. Eye infection. In addition to itching, pain, and swelling, an eye infection can also affect your vision. Conjunctivitis, also known as pinkeye, is common type of eye infection. For more information, check out Are Eye Infections Clouding Your Vision? Dry eyes. More than 25 million Americans are affected by dry eyes, which is cause by poor tear production or poor-quality tears. For more information, check out 4 Strategies for Natural Dry Eye Treatment. Glaucoma. This disease causes irreparable damage due to excess pressure in the eyes. There are no warnings signs for glaucoma, so getting a yearly eye exam is very important. For more information, check out Glaucoma: Symptoms, Treatment, and Prevention of a Serious Eye Disease. Cataracts. This eye condition can cause cloudy spots consisting of protein and water to form on the eyes’ lenses and impair vision. For more about cataracts, check out Cataract Symptoms: Correcting the Clouded Vision Caused by Cataracts. Macular degeneration. Age-related macular degeneration affects the center of the retina and causes blind spots in central vision. For more information, check out What is Age-Related Macular Degeneration? Medication. Certain drugs prescribed to treat osteoporosis, erectile dysfunction, high blood pressure, and enlarged prostate can cause blurred vision in some people, according to ConsumerReports.org. Blurred vision is also commonly associated with tricyclic antidepressants, such as Elavil, Pemelor, and Norpramin, according to VeryWellMind.com. With these medications, however, blurred vision usually subsides after a few weeks. Ophthalmoscopy. This test allows your eye doctor to examine the back of your eye, including your retina, optic disc, and blood vessels. Glaucoma, macular degeneration, and optic nerve damage can be identified using this exam. Refraction test. It checks your vision for refractive errors, such as astigmatism and myopia, and helps your eye doctor prescribe glasses or contact lenses if necessary. Slit lamp examination. This procedure allows your doctor to view the back of your eye with greater magnification than a basic ophthalmoscopy by using a bright light from a stilt lamp. Tonometry. This test detects changes in eye pressure by temporarily flattening or blowing a brief puff of air at your cornea. 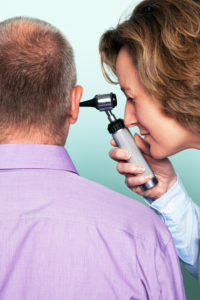 Some eye doctors alternatively use a handheld device called a Tono-Pen, which provides a digital measurement of eye pressure. Blood tests. They can reveal hypoglycemia, or low blood sugar, which is common in people with diabetes, as well as your white blood cell count if infection is suspected. Medication. Your doctor may prescribe eye drops to treat injuries or infection or other medications for underlying conditions that contribute to your blurred vision. Laser surgery. These procedures are often used by eye doctors to treat refraction errors, glaucoma, cataracts, and floaters. Food. If your blurred vision is caused by low blood sugar, foods containing fast-acting sugars are recommended to increase your blood sugar quickly. Protect your eyes from the sun. When in the sun, always wear sunglasses that include 99 to 100 percent protection from UVA and UVB rays, which can protect you from long-term eye damage. Eat a diet that’s healthy for your eyes. Foods that are rich in three particular carotenoids—lutein, zeaxanthin, and astaxanthin—can protect your eyes from damage, fatigue, and vision loss. Fish, eggs, and avocado are just a few of the foods that are a good source of these carotenoids. For more information, check out Eating for Eyesight: Which Foods Protect Your Eyes? Avoid (or quit) smoking. Smoking increases your risk of developing age-related macular degeneration. Get a yearly eye exam. Your eye doctor will be able to identify any issues that could potentially cause blurred vision early and recommend proper treatment. Report any noticeable changes to your doctor as soon as possible in between your exams. Keep your blood pressure and cholesterol levels under control. Research suggests there is a link between cardiovascular disease and age-related macular degeneration. Wash your hands before touching your eyes. This is particularly important if you wear contact lenses. Washing your eyes before putting them in or taking them out can reduce risk of infection. Properly protect your head and eyes when working in dangerous situations. It’s important to guard yourself against concussions or severe eye injuries when operating heavy machinery or doing home repairs. 4 strategies for natural dry eye treatment, age related macular degeneration, antidepressants, astigmatism, blood pressure, blood sugar, brain, brain aneurysm, brain tumor, cardiovascular, cardiovascular disease, carotenoids, cataract, cataract symptoms, cataracts, celiac, celiac disease, celiac disease symptoms, celiac disease symptoms list, cholesterol, cholesterol levels, concussion symptoms, contact lenses, diabetes, diet, dizziness, dry eye, Dry eye treatment, dry eyes, erectile, erectile dysfunction, eye condition, eye drops, eye health, eye infection, eye infections, eye pressure, eye treatment, eyesight, food, glaucoma, glaucoma symptoms, head injury, headaches, health, high blood pressure, high blood pressure and, hypertension, hypotension, hypothyroidism, increases your risk, infection, low blood sugar, macular degeneration, migraine, migraine headache, migraine symptoms, migraines, natural dry eye treatment, norpramin, optic nerve, osteoporosis, pain, people with diabetes, Prostate, protein, quit smoking, report, retina, slit lamp, smoking, stroke, sugar, tonometry, treat osteoporosis, tricyclic antidepressants, tumor, vision health, what is astigmatism, zeaxanthin.